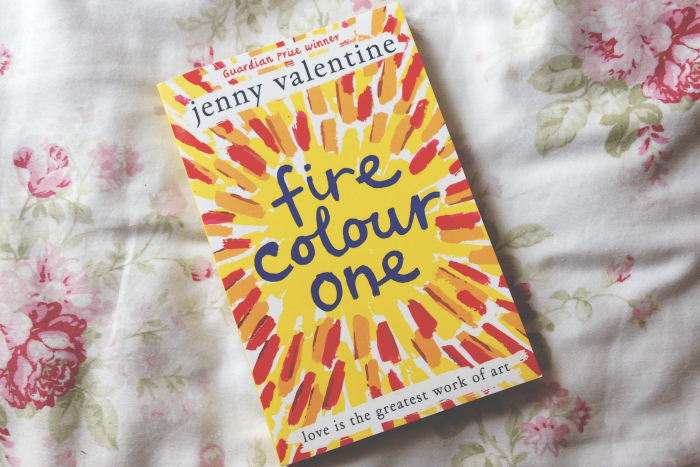 ‘Fire Colour One’: MP!er Beth says says she wants more Jenny Valentine after this book – MP! Fire and precious artworks don’t often go well together, but Jenny Valentine weaves them together perfectly in her story of love, loss and mystery. MP!er Beth received a copy of ‘Fire Colour One’ through our You Review, and here’s what she had to say about it. 1. Describe ‘Fire Colour One’ in one word. 2. Have you read any of Jenny Valentine’s books before? If not, does this book make you want to read others? I have not but after reading Fire Colour One I want to read more books from her. 3. What do you think of the cover? I love the cover! It goes so well with the story. Fire and art! 4. Can you pick a favourite character, and why? I really enjoyed the main character Iris, I found her pyromania fascinating to read about and she was just really interesting, she was just a normal girl who had to deal with a lot of problems so I felt for her a lot of times. 5. What did you think of all the art references? I enjoyed the art references a lot. I don’t know a lot about art but I did really like it. 6. Can you think of a favourite bit? I think my favourite bit is where Thurston dressed up as a girl to take Iris out. 7. How about a least favourite? I’ve got to say any bit with the mother, she was really horrible and didn’t care for Iris and just wanted the paintings from Ernest to get rich. 8. Would you recommend ‘Fire Colour One’ to friends? Was the plot straight-forward or twisty? Straight forward. Was the ending expected or surprising? A bit of both. Buy Jenny’s ‘Fire Colour One’ on Amazon here for £5.24. Fancy the Kindle edition? Snap it up for £4.99. Next article 12 reasons why One Direction absolutely smashed it in San Diego. Falling over, new merch & ‘Act My Age’. We’ve got a first look at the new ‘Jungle Book’ movie with this teaser poster. 12 reasons why One Direction absolutely smashed it in San Diego. Falling over, new merch & ‘Act My Age’.